MoD just rocked the socks off of Graz! 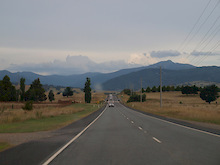 Arnold Schwarzenegger's hometown hosted the first stop of the 2011 Masters of Dirt tour this past weekend. MTB and BMX riders were in the mix and throwing down! Dennis Switch rides at night and meets a strange guy. The day after he has to escape from somebody who should be dead. Let the delirium begin! A year ago, Pinkbike gave me the opportunity to show everyone the challenge that I took on to develop, design, and produce an innovative Downhill frame. This is the story. I thought I might start this off by using a lame quote or definition that describes free riders or the sport of free ride. You know, your cliche introduction. Ken from Camp of Champions took a look at their New Westminster factory last year which gives a look at the production, people and culture of Race Face. The staff at Race Face were truly the greatest asset they had, best wishes to everyone! It's Monday and the snow is back for another round here at the Pinkbike.com HQ, so sit back and enjoy the ten edits we've prepared for you today. Soon we'll all be riding again! 2011 Australian National Downhill Champions have been crowned at Eagle Park, Adelaide, Australia in dry dusty conditions on a day with mixed emotions. 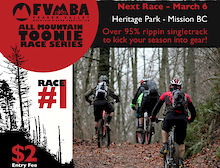 FVMBA (Fraser Valley Mountain Bike Association) has had a strong presence in the Valley over the years and now they want to get you out racing! 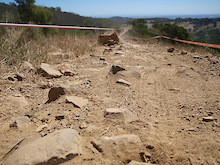 Sycamore Canyon Park in Riverside, California receives a visit from the IMBA Trail Care Crew. 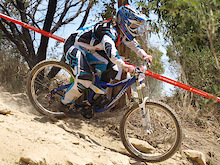 Seeding results and report for the Australian National Championships. Mic Hannah seeds fastest among the men, while it's Connor Fearon on top of the Juniors. The Bump Hop with Danny MacAskill is number two in a series of 4 how to videos that are being brought to us by his clothing sponsor digdeep. 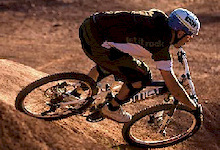 Mountain biking seems to be a living, growing and evolving sport. It is extremely diverse. It’s hard to think of another sport that accommodates as many disciplines, and one that is constantly being shaped by technology and new product. 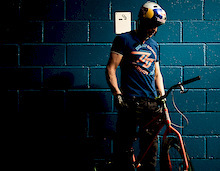 Danny MacAskill wows crowds the world over with effortless displays of skill and style. We took our opportunity and caught up with him at a Red Bull event in Edinburgh set up to mark the recent success of his video, Way Back Home. 3 Funniest Biking Videos on Pinkbike? 3 videos to bring a chuckle to your day wherever you are! MTBcut recently got asked to shoot a promo for a local Tourist Board here is Scotland. From Kayaking, to downhill skiing, trail running, some trials and a hint of Ben Nevis Whiskey, it's all in the video - come to Scotland! This Sunday saw riders take to the hills above San Remo for the first Colantino superenduro race. Heavy rain over night and through the morning didn’t dampen the spirits of the stacked field of local riders. The off season in Germany has been really hard for mountain bikers this year. Our huge indoor park closed in 2010, so this is the first winter without any riding possibilities. Seeking warmth, I headed to Spain! We sat down with CRC / Nukeproof rider Matt Simmonds to talk about changes to the team and what we can expect from him in 2011. Evasion is a French Mountain bike movie (20 mins) directed between Morocco and Italia by Leo Ginailhac in with Julien Camellini, Antoine Dubourgnon, Anthony Tomassi, Leo Delfour Barsacq, Remy Metailler and Bastian Huber. Sterl as the rookie photographer, Pre-Reaper Trail, Cypress Mountain, North Shore, BC. circa 1998. 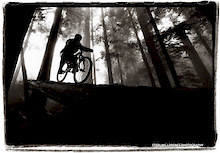 Pinkbike.com joins forces with iconic mountain bike photographer Sterling Lorence. 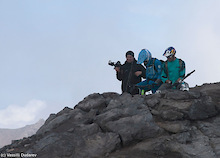 Lorence will work as senior photographer for Pinkbike. MTW Media just uploaded these two edits from the Australian Champs - 4X highlights and a Pump Track edit to their Vimeo. Pinkbike tests the Rapid Racer Products NeoGuard - a simple, lightweight, and inexpensive mud guard. Inside you can read up on how effective the NeoGuard proved to be.Pinkbike tests the Rapid Racer Products NeoGuard - a simple, lightweight, and inexpensive mud guard. Inside you can read up on how effective the NeoGuard proved to be. Highly favored, former World Champion, Jared Graves has won the Elite Men's 4X National Championships'. The Future is now! At least that is what people told us in the nineties. We were promised jet packs, cities floating in the ocean and with the evolving of Ipads & tablets to be liberated from any kind of fixed video format. 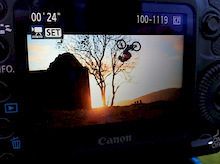 Since we can’t deliver the rocket backpack, we can at least bring you the first ever mountain bike tallscreen video. Last week I posted pictures of the Banshee Prime CNC parts. During the week Pacific Prototype Wizard Teddy completed the front and rear triangles. In the excitement we have started ordering parts for the initial frames to see how they roll. Queensland’s Michael Hannah and Victoria’s Leonie Picton have wrapped up a successful 2011 Specialized Australian Mountain Bike Championships in Adelaide with victories in the elite men’s and women’s downhill competitions tonight. Kyle and Logan Training for the Olympics. Some quality messing about at the GC compound in Queensland, Australia. Watch as Matt Hunter and Sterling Lorence head out to Green River, Utah in search of something unique to shoot. What they find is pretty rad, so check it out! 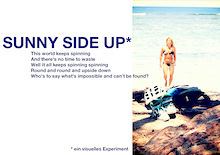 Produced by Freeride Entertainment! Check out the Australian National Championships' track with this head cam footage and comprehensive track walk. We have big plans for 2011 and we're starting things off with a major upgrade to the Street Crew! A new team manager, and new riders from all over Canada, new photos & new videos all included in the following! 2010 has been an outstanding year for the RSP red-white army. The results speak for themselves. Tomas got 2nd in the World Cup overall and European vice-champion. The icing on the cake came in Canada, where Tomas Slavik won the World 4X title! Gnar Gnar Tours in Phoenix, Arizona. Ever thought about getting out of the snow to do some riding in winter, but didn't think it was affordable? Think again, Phoenix, Arizona may be the answer. 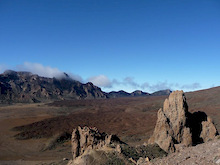 "The helicopter hovers above the volcano crater just low enough for you to jump out with your bike. The pilot is yelling at you in Russian that it’s your turn to go. Suddenly you feel your breakfast rising up in your throat. Three, two, one- jump!" Last weekend the Jonkershoek Valley got assaulted by hundreds of bikes for the Africa Continental Champs. XC & DH, young & old, but with one thing in common... the love of riding bikes! Wheelz, 19, has obtained a cult following globally for his antics with the Nitro Circus Live Tour after successfully landing 40ft Backflips, Double Backflips and Front-flips in the past six months... in a wheelchair. Cold weather and rain led up this weekend's latest round of the Southridge Winter Series. Riders didn't let the bleak weather conditions put their spirits down. With this round being worth double points to the overall, riders were focused on placing well to step above their competitors. Enjoy the second part of Red Bull Bargespin – a journey down the Intracoastal Waterway in Miami during which BMX riders like Dhers, Napolitan and Adams show their skills on a barge, heading towards the American Airlines Arena to entertain the fans of NBA team Miami Heat. British mountain bike photographer Keith Valentine a.k.a phunkt.com spends a day at the H.Q of Rare Management (the team behind this year's Fort William mountain bike World Cup event) and finds out what makes them tick,what's going down and secret rumors of a superhero theme to this year's event. The following is a journal of a trip from Reno, Nevada to the Nevada State Downhill Championship at Bootleg Canyon in Boulder City, Nevada. Some parts of the journal have been omitted for reasons related to appropriateness, but the remaining parts are mostly true. Inside you can watch a video detailing the steps to bleed RockShox's Reverb seatpost. Registered for the Halo BDS? Here is a list of all riders along with their plate numbers. Peaty you've got #4, Gee #2, Hart #5, Fairclough #3 and riding plate #1 belongs to defending champ Marc Beaumont. Keep it locked to Pinkbike for coverage all year. The Champs' are here, the Champs' are here! 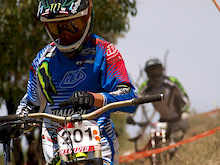 The 2011 Australian National Championships' will run from the 22nd of February to the 26th of February at Eagle Mountain Bike Park. 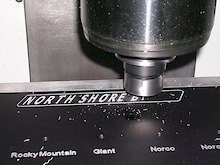 North Shore Billet (NSB) has a pretty simple motto: a job not done right is a job not worth doing. 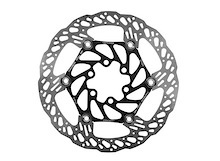 With that in mind and a philosophy that excellence is found in the smallest details, NSB aims to produce precision machined bicycle components day in and day out. 9 edits to kick off your week are only a click away - Get your race, DJ, or behind the scenes on, any way you click it, just enjoy the videos before you get working today! It's that time of year again. You've been itching to get back on your bike for months and need a fun place to ride that isn't still caked in snow. Almost exactly a year ago, Taylor, Skye and I made a short video called Sunny Day at Beacon. Turns out we made another. Enjoy. Riders: Skye Schillhamer & Taylor Curtis. The VCA just wrapped up in Chile. Polc took 1st, Gracia 2nd, Mario Jarrin in 3rd. Full Results coming up soon. 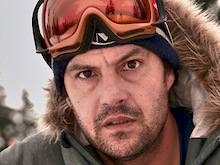 It's time Mountain Biking gains the freedom and recognition now enjoyed by our pioneering brothers of Snow and Skate. Mountain Biking is not a crime. Illegal trail building is not the solution. When education, cooperation and collaboration unite, the world will be Pedal-Driven! The VCA course is coming together here in Chile. Racing kicks off tomorrow morning, and as usual, it is down to the last minute to get the obstacles built. The welders are being kept extremely busy, but the riders aren't. CG took a few minutes to ride down what we could of the track with us and scope things out. This month we have Ben Lord talking us through the troubled history of his local trails, Ben Skinner-Watts showing off his new creation, some freeriding at Steetley and back to the Forest of Dean for the 661 Mini Downhill. Vroom! Beep beep beep. Vroom! What in the blazes? I am just aware enough…but still not conscious enough to shake the possibility that I may be part of a beach invasion of a very foreign country; hopefully Brazil. Race Face Performance Products, a global leader in premium mountain bike components, apparel and protection, has signed legendary freerider Aaron Chase to a two-year sponsorship deal. This film is about my life as a mountain biker, a champion, a friend, a daughter, and a paraplegic. I hate that last word…but it’s the truth, and this is my life at this very moment. Here we are in the depths of winter. Groundhog Day was a couple of weeks ago now, and here at least it was clear and cold, so that means at least another month of snow, cold, and no bikes. Some of you probably live places like Vancouver, or California, or Spain, and can ride year round, but the rest of us have to put up with several months of no riding. Banshee Prime - CNC 29er bits! It's Prime Time ... We at Banshee are really excited to see pieces of the new Banshee Full Suspension 29er showing up at the factory. After seeing the drawing in 2-D and then 3-D it is nice to be able to see some actual pieces. Has the season started already? Over recent years, the South American Urban DH race season has flourished and is now a full fledged start to the riding season for many World Cup stars. Last week, tons of riders were in Santos Brazil for the epic stair race, this week we are in Valparaiso, Chile for the 9th installment of the Valparaiso Cerro Abajo. A frank talk with the K9 front man and suspension authority about bike setup, data-logging, suspension, and if there really is one design that trumps all of the others. There is a challenge before you. 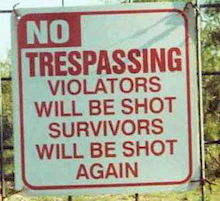 An obstacle. You have two choices: find the courage to beat it or to lay down and accept defeat. Vancouver, BC- Dunbar Cycles is proud to announce the formation of the Dunbar Cycles World Cup Team in partnership with Cycles Devinci and Elka Suspension for the 2011 season. 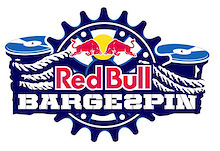 Red Bull Bargespin, was a five-day journey where some of the world's best BMX riders did demos on a floating BMX park, made its way through Florida's intercoastal waterways late last year. Red Bull TV presents MacAskill Conquers - a special, intimate one hour show of all the incredible footage that Danny MacAskill has produced. MTB Cut was on hand for the building of Lewis Buchanan's brand new Nukeproof Scalp DH bike. We've got an Interview, video and pictures for you, so that you have all the details on the new bikes and the new team. Pinkbike.com, the world's most highly trafficked online MTB news and media source, has hired renowned bike photographer Ian Hylands as photo editor. If you are one of the millions and millions of people who are glued to their screen whenever Danny works his magic and have been wondering “how on earth does he do it”, we’ve got the answer for you. This week Scott answers questions from users Pablos, C2crider, and JesseKaplanis about how to be strong without having to go to the gym, getting that explosive power for sprinting out of corners, and being fast enough to justify riding platform pedals without being a fashion victim! Here is the official video from Cam White's 5th annual Hillside Dirtjam that went off in Canberra, Australia. A big international rider line up made the trip to Australia for the event, including Hucker, Anthony Napolitan, James Foster and Brandon Dosch! It's the middle of February and summer feels as though it is lurking around the corner, actually now that I think of it, Summer is the farthest thing from my current situation. Around the corner lies mass amounts of snow, and not just snow, a very inconvenient wall of it. X-Fusion announces the hiring of industry veteran Joel Smith as the new GM of X-Fusion USA. Smith, former Brand, Marketing and Sales director at Answer Products and current owner of Tomac Bikes, brings over 20 years of bicycle industry experience to X-Fusion. Light is the most important part of every photo we take, it's what creates everything that we see and affects how it appears. Understanding a little bit about it can really help to improve the quality of our photos and videos. Leaving the frigid Winter days of the Czech Republic for the warmth of sunshine and endless riding of Tenerife Island (one of the Canary Islands) was a simple choice. The UK is full of talented riders who go down the woods week in, week out, race all the main series, and do it mainly for the love of it. Here are three stories on those exact people that love what they do - race bikes. Demon Dirt is stoked to announce their Pro Mountain Bike Team, The Flesh and Blood Crew, for 2011. A 120-meter half pipe carved out of Australian dirt with some of the sickest jumps and wall-rides... what transpired was truly epic in a Red Bull Dirt Pipe deluge. Dustin Greenall was instrumental in bringing us the Dreamland booters in Kelowna, B.C. Here is his 2010 season, filmed by Sam Dobrin and Nic Genovese. We take a closer look at how a Hayes V-series rotor begins life as a massive roll of steel, and becomes the finished product that their new Prime brake system uses. With only a few weeks to go until the Freeride Mountain Bike (FMB) World Tour kicks off with the Vienna Air King, the FMBA is now ready to announce the FMB World Tour event calendar. Unless you have been living under a rock for the past couple of years you have surely noticed the rise of Lezyne. Started back in 2007 by German Micki Kozuschek, he was the founder of Truvativ and is no stranger to the industry. Today's mixer is seven edits to get you through this day of Global Love Day - if Cupid doesn't find you, remember that Pinkbike loves ya! Enjoy our gift to you! Urge Cabo Verde - Vouilloz and Moseley win it! Urge Cabo Verde concludes after 4 separate runs through out the past week and sees Vouilloz and Moseley on top of the stacked field. Despite the bad weather forecast, Cam White's 5th annual Hillside Dirtjam went off last night in Canberra, Australia. 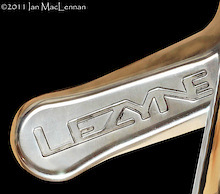 Lapierre Canada is extremely proud to announce its line up for 2011. The Team will consist of Cross Country, Road and Downhill stars looking to make a huge impact at Provincial, National and World cup events. You may have seen some photos floating around here or there of Norco's new prototype DH rig, but inside we have one of the main men behind the design giving to give you the lowdown on video. Watch and learn! Do you like helmet cams? Do you have an iPhone 4? Well check this out. Andrew Taylor and his Partner Shelby Paget have been working incognito around close friends over the past few months developing a waterproof housing for the I Phone 4. Some of the tightest racing we've seen all season went down on Tuesday night as the series welcomed Pinkbike.com as a new sponsor! It’s been an awesome week around here, with the sun shining and friends like Christian in town. We took advantage of the weather and trail conditions to get in some great riding days. 2010 recap of the four Trek Gravity Girls; Jess Stone, Katja Rupf, Solveig Lindgren and Steffi Marth and their outlook for the upcoming 2011 season. The third happening of DownMall “devastation” is quickly approaching. It's become a tradition that this unconventional race move to a new mall each year. Railing corners is one of the Holy Grails of trail riding - riders who can do it flow faster and those who can't complain about their tires and head tube angle. I ran into Lear Miller in January while riding in his hometown of Pheonix, Arizona. I only knew of him through recent videos here on Pinkbike, so I thought I would share some pics and a bit about my days riding with Lear. This year, the Out of Bounds is truly growing into a festival and takes place on ten action-packed days from June 10th to 19th in Saalfelden, Leogang. 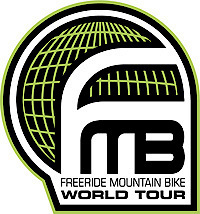 As of today it is official: SR Suntour will support the Freeride Mountain Bike (FMB) World Tour for the upcoming season. 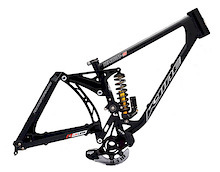 Dean Racing Development (DRD) and X-Fusion suspension is proud to announce its factory mountain bike race team, as well as its continued relationship with Intense Cycles, as the team’s official frame supplier, for the 2011 season. After a Pro Bike Check at the last Australian National Round, this race we poll the entire Elite Men's field (40 racers) to check out their set ups and hardware. The results are interesting! The 2010 Farm Jam was dubbed one of the best action-sports events in the world, but the 2011 Unit Farm Jam is promising to blow its predecessors out of the water. Where It's At is a web series which seeks to give you an insight into the lives of some of the best riders and racers that Australia has to offer on the SVC Imports Team. And so it begins again, another year of racing in the UK. One of the first races of the season has traditionally been the Innerleithen Winter series which has run under all manner of years gone by. The DH season in the sunny hemisphere is in full swing & this weekend was the 2nd provincial race in Jonkershoek. 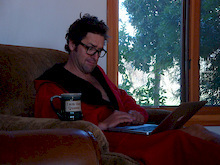 2 days of DH, a few hospital trips & a healthy amount of awesomeness! Needless to say it was a great weekend! The third round of the Australian National Series was raced in wet, muddy and cold conditions, but the show must go on! A few surprises across the results, read on for more. Masters of Dirt went to 'bella Italia" with Sam Reynolds and Tomas Barta to practice for the upcoming tour. Sam practiced double front flips and other big moves into Alvaro dal Farra's foampit in Belluno, and then the crew headed to a dirt spot the next day to finish up. 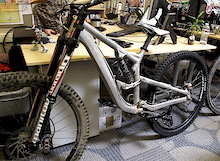 In this week's Tech Tuesday we take a closer look at rebuilding Manitou's Circus fork. Inside you can watch a great How-To video and read up on some helpful pointers. 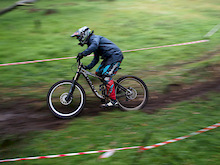 Nukeproof are pleased to announce their 2011 Junior Team. The team members include Irish Junior Champion Christopher McGlinchy and Irish Under-16 Champion Dan Sheridan. 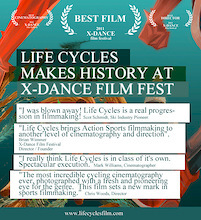 The 2011 X Dance Film Festival wrapped up January 25th in Park City, Utah and Life Cycles cleaned up at the awards. Winning the Best Film, Best Director and Best Cinematography. You Like This - Coming Soon! You as in YOU, Like This as in This, and This is a new mountain bike film from Squamish’s Art Barn Film to premiere via Pinkbike to the world this Spring! As the third round of the Southridge Winter Series commences, the race for the overall Downhill points race has really shaped up to be a close battle for the win. The Yeti / Fox Racing Shox team, perennially one of the strongest mountain teams on the circuit, announced its World Cup and national teams today. Darren Berrecloth, Matt Hunter and new edition Martin Soderstrom will make up the 2011 Specialized Freeride team. 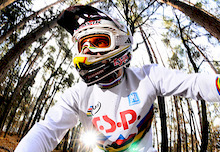 SGC add FMB World Champ Cam Zink and Tyler McCaul to the 2011 coaching lineup. After five long years of waiting, it is settled: The Red Bull District Ride is coming back to Nuremberg! For years, fans have been waiting, guessing and hoping – now it’s official. Thank you riders for making these shots happen. I can't wait 'till we meet again this year. I grabbed my camera and Strahan Loken and together we headed out to capture some foggy, wet, downhill riding on Vancouver Island. Today we have a dozen videos for you to enjoy before getting down to business and actually working! The spectrum is broad to say the least, so everyone should find something that they like in today's mix. Eric and Sadie Davies started Deity Components in 2004 with only 5 products and almost no money. Now almost 7 years later they are releasing two frames, and their product line has expanded considerably in both size and quality. For those of you who haven't seen the movie 'Brighter' yet, there's never been a better time than now! 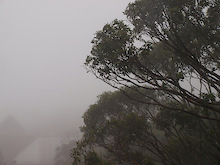 Practice today was a non event, with a 100mm of rain forecast to fall, the track was closed. With the technical nature of the track it means tomorrow's practice is going to be critical. It will really test riders, those that can learn a track quickly will thrive. The guys from Kona Bike Park - Skyline Cycles (Wales UK) test the new Kona Tanuki on the Wall trail in Afan Argoed, South Wales. 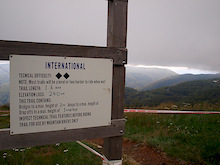 Track walk at Mount Buller, the third round of the Australian national series. Despite cyclones lashing the Australian cost, the third round of the National series is currently underway. There are too many riders out there that know this: to be a privateer you’ve got to love your sport. You have to have passion, heart and the drive to train and race for little to no money. 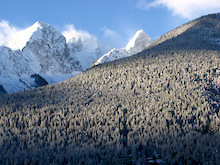 For my first post of 2011, I'm posting some of my all time favourite photos from 2010. Inside are highlights from Sea Otter, commercial shoots, personal projects, road trips, and the Red Bull Rampage. Giant is expanding its global freeride program, sponsoring three riders from three different countries in 2011. With their diverse riding talents, Kurt Sorge, Andi Wittmann and Jeff Lenosky will keep Giant on the leading edge of freeride products, competition and culture. Rowan Sorrell will be hitting up the Urge Cabo Verde event this month and has been getting out on his Orange bikes to prepare, video camera in tow. In episode #3 you'll see his new bike and some good night riding. After a promising qualifying - 1st overall - Martin cased the final landing, breaking his chain and bending his fork. Unable to continue he's looking forward to his next comps aboard his new Specialized P.3. Following on from his 2010 hit, Way Back Home, Danny will be treating his fans to a whole evening of exclusive videos and interviews in Edinburgh on the evening of February 20, 2011. Knolly Bikes is proud to announce a partnership with Big Mountain rider, James Doerfling that will see him aboard their frames as he looks for new lines in the most remote zones. 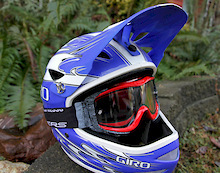 We've had plenty of time with the new Shore goggles to see how they perform in B.C. 's infamously wet and cold Fall riding conditions - any eyewear's worst nightmare. Watch as Marzocchi / KHS Team riders Aiello, Spalding and Binggelli get sideways while testing their new bikes and suspension for the 2011 season at Bootleg Canyon. "A Big Year" Casey Groves' 2010 Video presented by Troy Lee Designs and a sit down to learn more about Casey and what's instore for 2011. Pinkbike traveled to the cold Northern U.S. town of Milwaukee, Wisconsin, to attend the grand opening of Ray's Indoor MTB Park. Check out all three videos from the event, as well as so many photos that you'll feel like you were actually there! This week Scott answers questions from users Chanstarhope, Strawberry1, Da-Moose, Tobes27, and Bikinbeast, on everything from making the most of your local parking garage by using a hose, to whether All-Mountain riding is a worthy DH training tool. Trek Bicycle announced open online registration for all 2011 Trek Dirt Series dates and locations today, confirming the company’s strong commitment to the advancement of women in mountain biking. Pinkbike visited Trek's World headquarters in Waterloo, Wisconsin, to get a rare look behind closed doors, including a peek into their esteemed Race Shop, and a look at a prototype 29'er DH bike that was in Trek's Advanced Concepts Group area. On Saturday, February 12th, 2011, a hillside in Wamboin, NSW will explode into action as some of the World’s best dirt-jumping BMXers converge for Cam White’s Hillside Dirt Jam. This week's Tech Tuesday takes a closer look at rebuilding the Manitou Dorado. While the Dorado leads the pack in performance, a little love can go a long way in keeping things running smoother for longer. Small slow-mo edit filmed in Virgin, Utah. I shot 80% of this on my own and did the full edit and think that you will enjoy the results as much as I've enjoyed the riding! Kirt Voreis and Austin Aldrich of the Specialized All Ride team are all decked out in the latest Fox Clothing for 2011. Be it out on the trails or the race tracks, Fox has them covered. 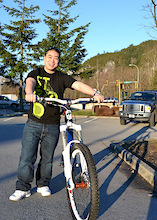 Congrats to Jeff Tran from North Vancouver, B.C. 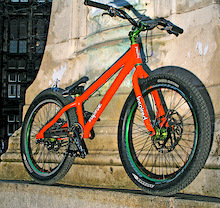 who just won the custom Demo 7 from Specialized and Anthill Films. Joyride 150 is Canada's only Indoor all-season Multi-Discipline Bike Park and they are opening their doors to an all Women weekend February 4th and 5th.